Holding a key leadership position in a publicly traded company carries enormous responsibility. In addition to the demands of your customers and the well-being of your employees, you must also meet the expectations of your investors and analysts, manage a raft of unique legal and regulatory burdens, and much more. 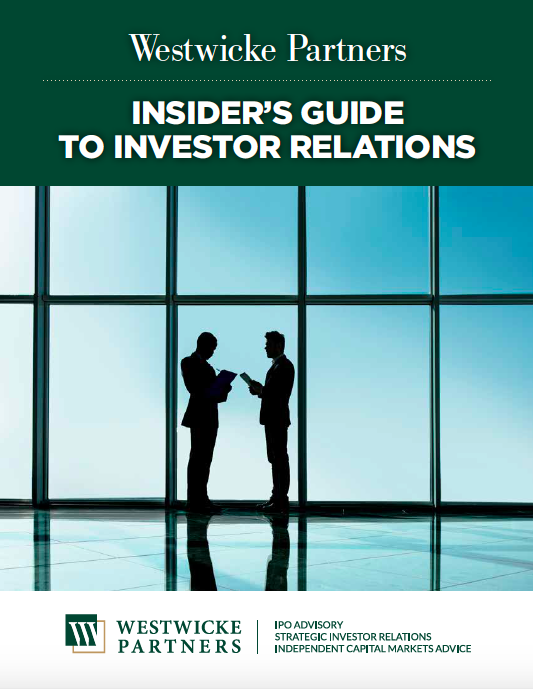 Indeed, Westwicke Insider’s Guide to Investor Relations is perhaps the most comprehensive guide of its kind ever created. And it’s all drawn from our unparalleled experience assisting public healthcare companies like yours drive greater value to their shareholders by improving their IR practices. To enjoy this eBook with our compliments, just fill out the form, click download, and enjoy. The first step to a successful relationship with Wall Street is to educate yourself on the investor relations process. There is much to know, so download our free eBook today.